I call this photo "Page-Turning". It's a dramatic shot of Woodrow Phoenix with his one-off comic book "She Lives". He's not visible in the photo, but he is there! I took this at the latest Dundee Comics Day / Ex Libris Book Fair, which I will write more on soon. 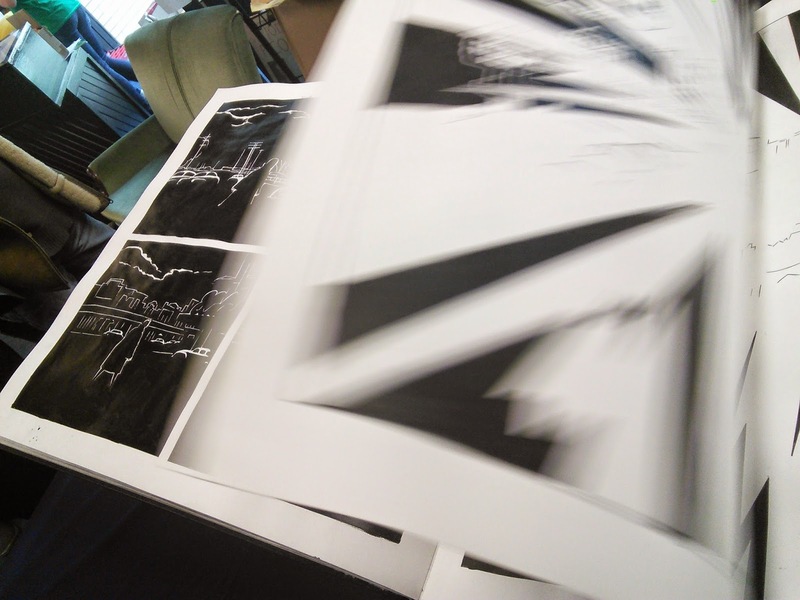 The latest edition of D.Blake Werts' "Copy This!" is out. 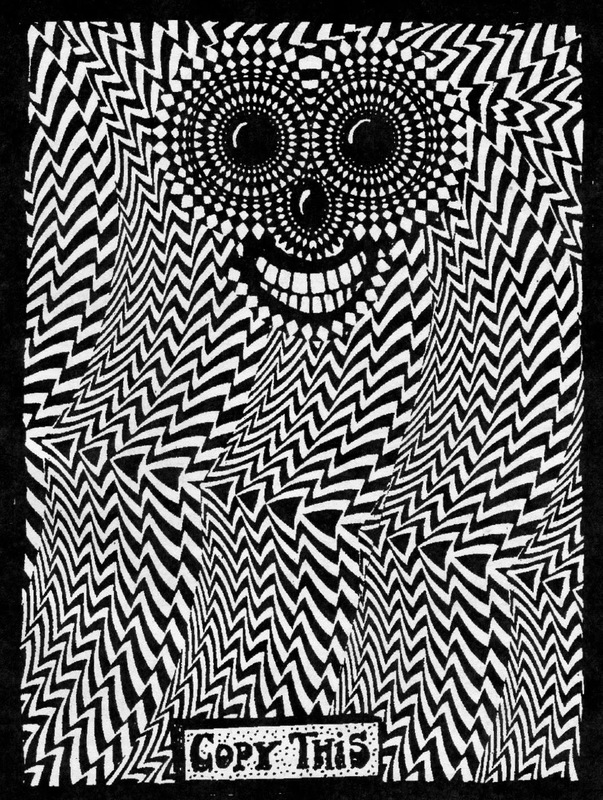 It’s a zine devoted to zines. It contains loads of updates on what small press cartoonists are up to, including me this time around, making mention of my involvement with Treehouse Comic, Artificial Womb and continuing work on the third issue of Dump. 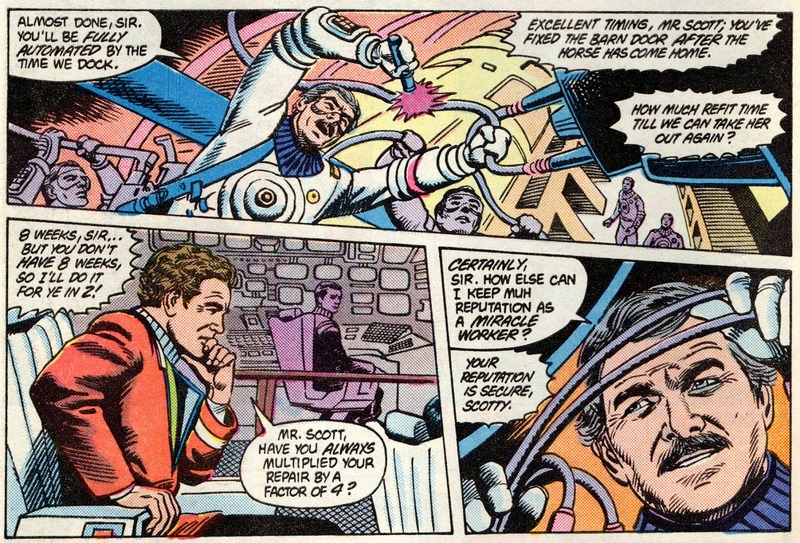 DOCTOR WHO IN COMICS: 50 YEARS IN 50 MINUTES! 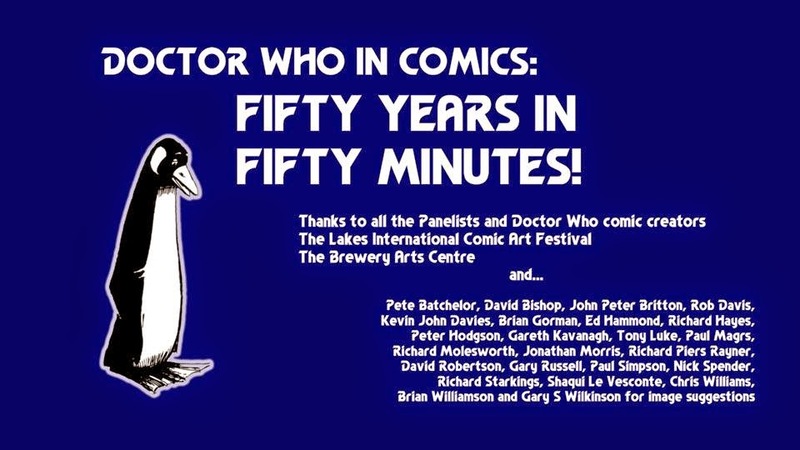 Ex Doctor Who Magazine editor John Freeman did what looks like an excellent talk on Doctor Who comics at The Lakes Comic Art Festival. I'm very pleased that he used a quote from me. Thanks, John! Have a look here for photos from the rest of the festival. John currently runs British comics website Down the Tubes. I'm very pleased that the British Comic Awards have longlisted my comic Dump #2 in the Best Comic category, and myself in the Emerging Talent category. Have a look at the lists here. 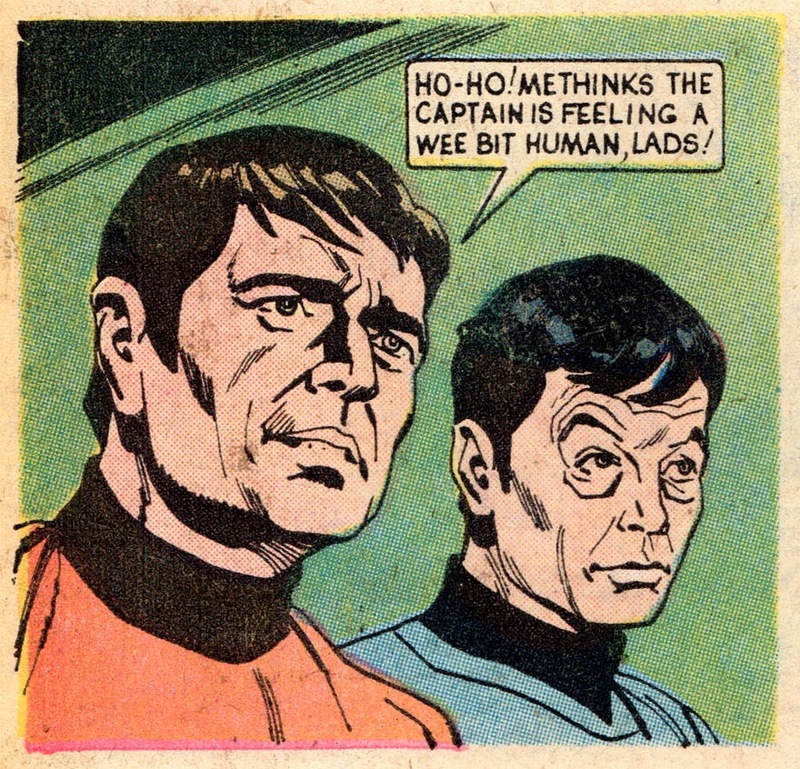 Instead of a comic based in Scotland, this time it’s a famous Scot. 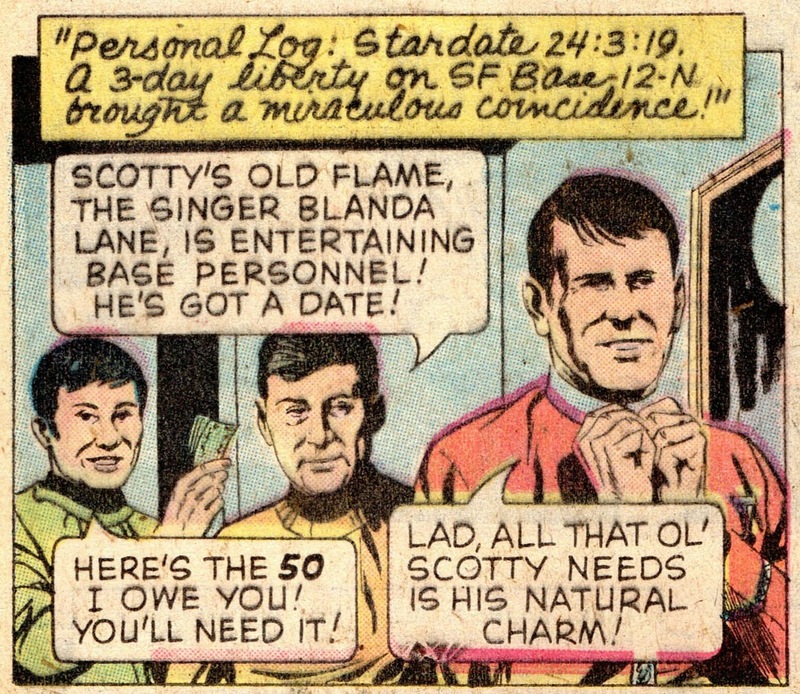 The world’s finest science fiction chief engineer is Montgomery Scott in Star Trek, also known as “Scotty”. 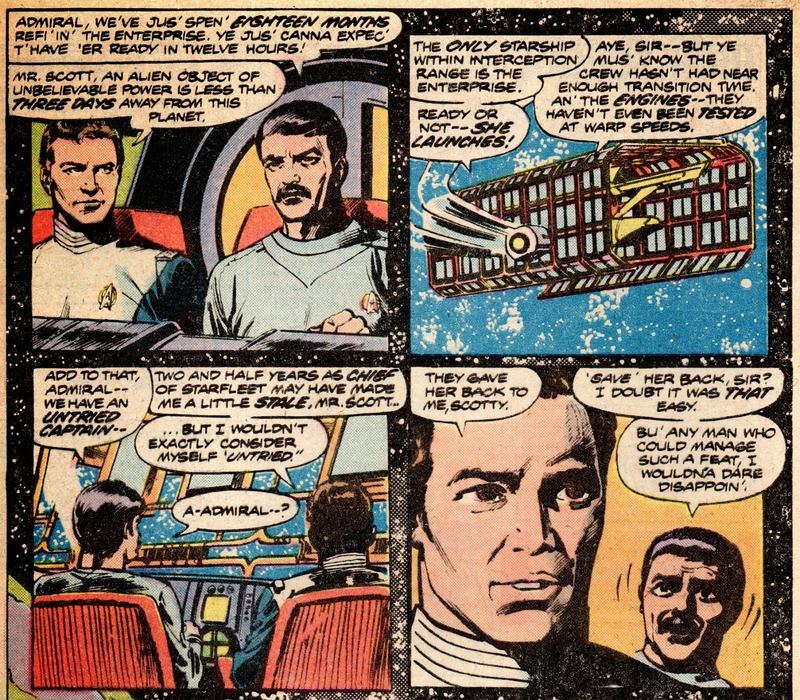 Gold Key continued putting out Star Trek comics through the 1970s, presumably feeding fans starved of new episodes of the show. Interestingly enough, this is the angle at which the panel was printed. 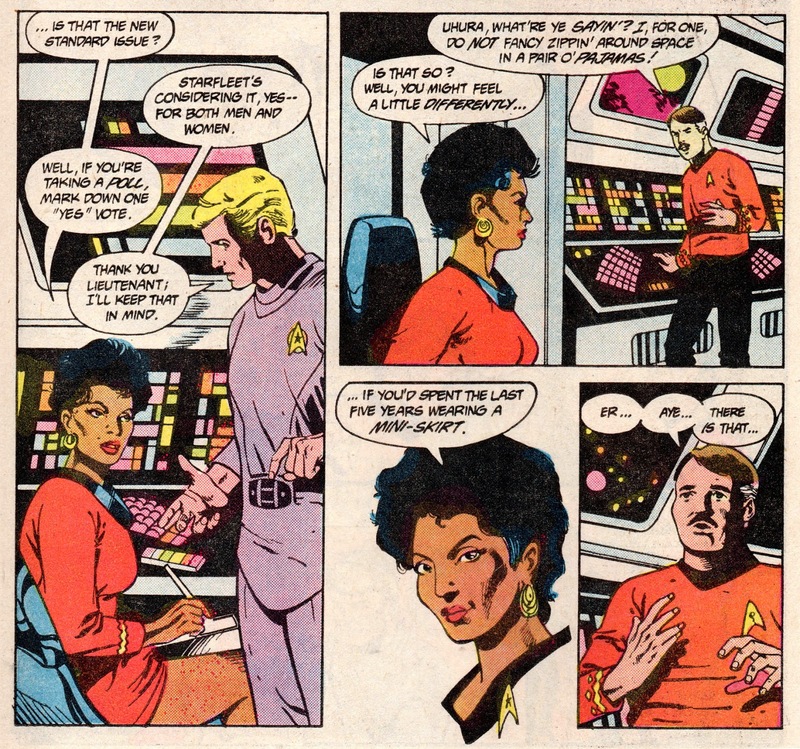 Written by Mike W.Barr and drawn by Tom Sutton. 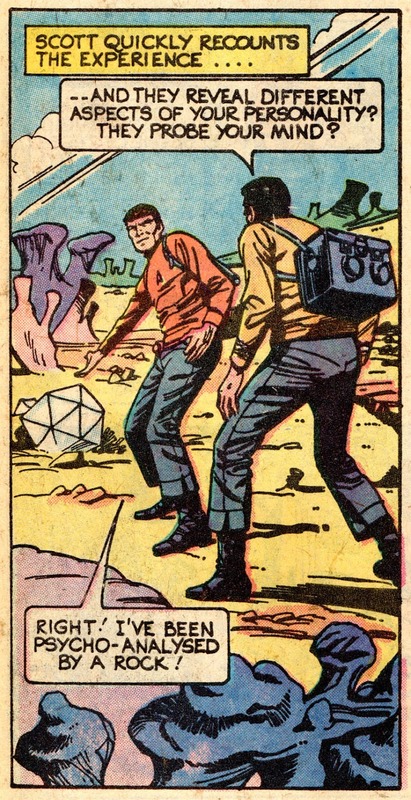 That year also saw the release of the sixth Star Trek movie, the last to feature the series cast. 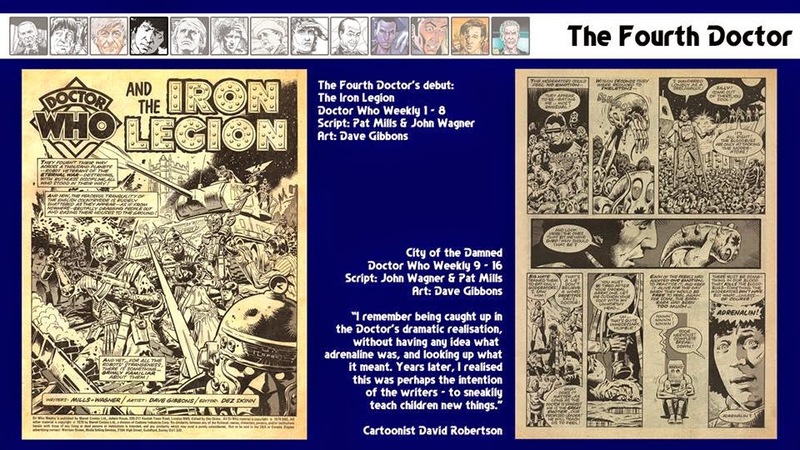 The countdown to the end of new comics moving these characters' adventures along in real time had surely began. And it finally came around in 1995. 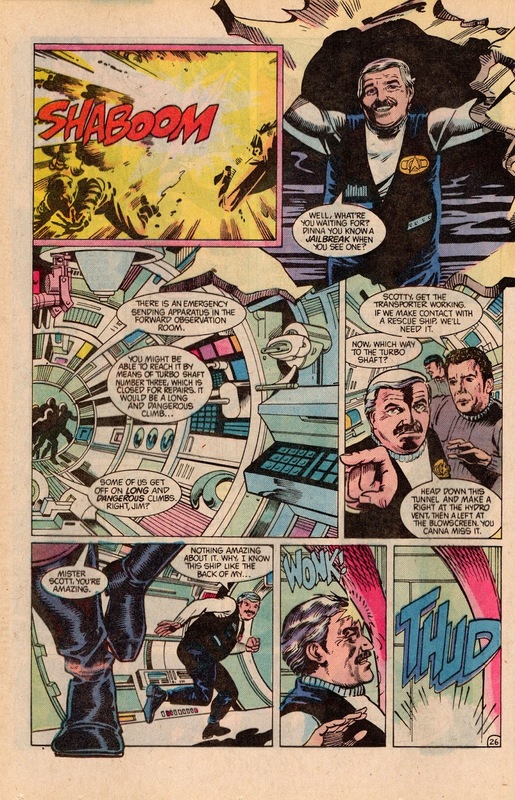 The final story treating the original crew as an ongoing concern. It was the end of an era. 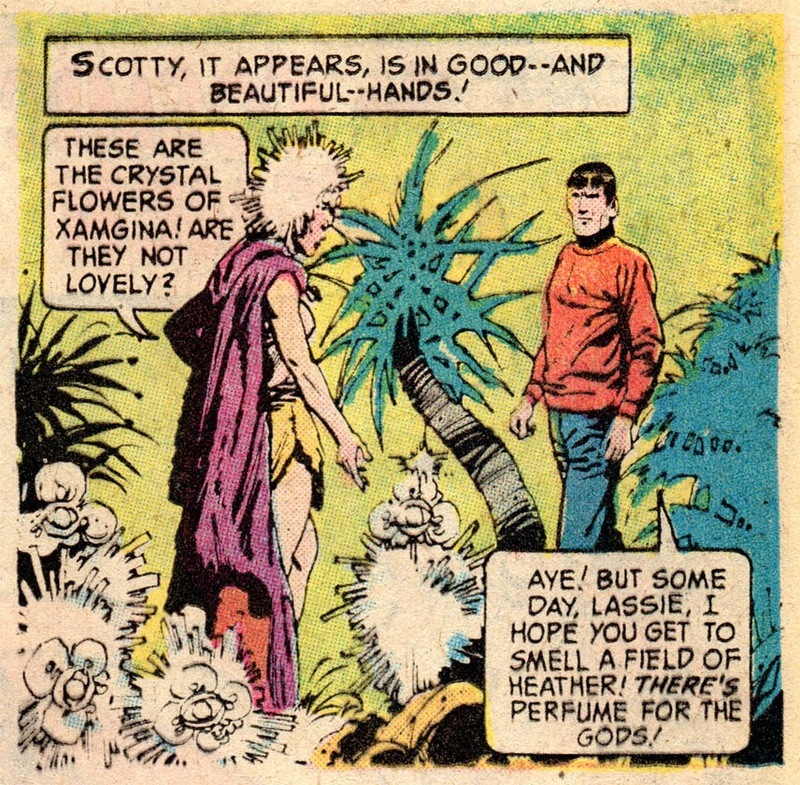 Scotty and the Star Trek crew have continued to appear in comics since then. I’ve seen a couple of series in the shops – Star Trek: Year Four; stories from an imagined fourth season, and comics based on the cast of the 2009 movie. 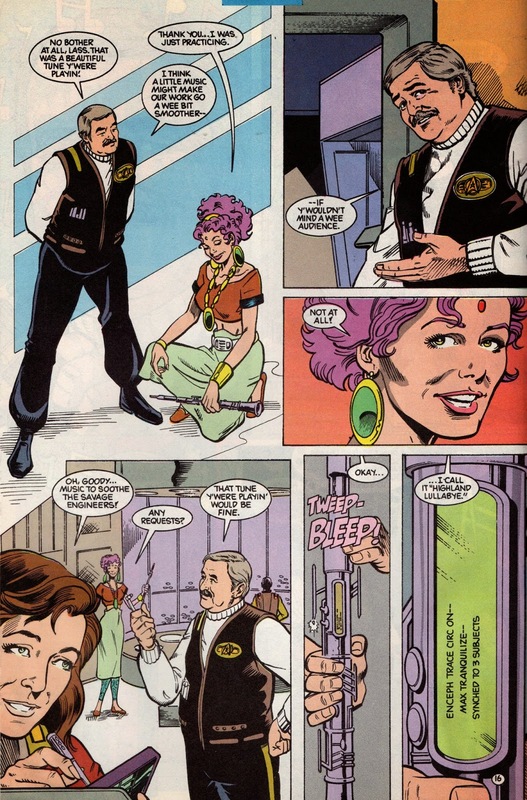 The comics that hold my affections though are the ones that came out contemporaneous to the TV show and movies.